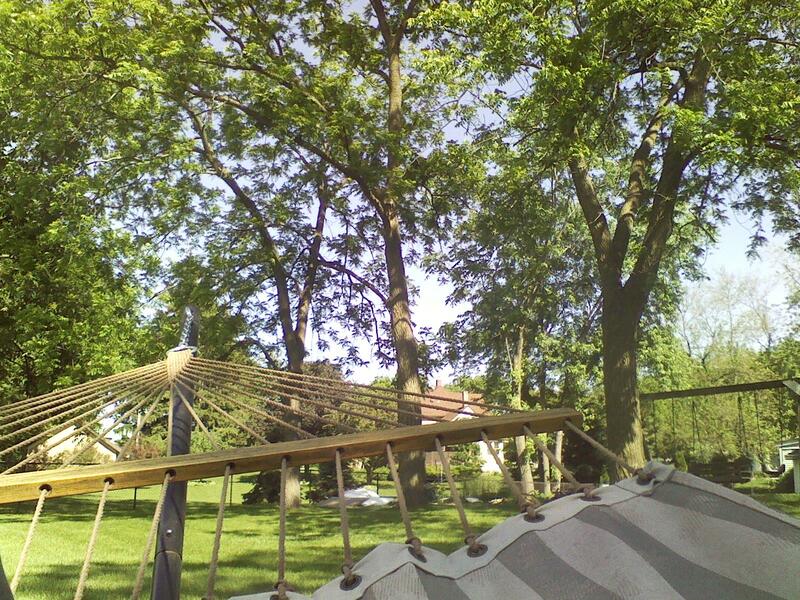 It took time for me to make it to the hammock again. After the writing conference, I found myself in catch-up mode. And then it happened, gut wrenching pain on my right side. Appendicitis complete with same day surgery and 3 weeks of recovery. I didn’t make it back to the hammock until just last week. I tried writing a “from the couch” snippet but I was just too tired and groggy. But while awaiting surgery at the hospital, I wrote an article on praying through pain and a poem about trust. I even read a book since it took awhile to squeeze me into the surgery schedule. As long as I stood, I wasn’t in too much pain, weirdly enough, so all this was done standing. And then came the resting. I could barely stand and wasn’t able to do very much other than recover. My coworkers sent a meal and flowers and my daughters came to visit the next day when I was released. The grandkids looked on worriedly and then asked to see my ouchies. I couldn’t do a darn thing but lie there and just be. I look at the gift of being there and marvel. I’m grateful that my appendix didn’t explode, God impressing on me the need to go see the doctor asap. My doctor was fully present and concerned, telling my spouse to take me to the ER right away. The hospital staff assessed the situation, sent me into surgery, and helped me with recovery. The folks who brought us meals at home eased the stress of the situation. I think about the blessing of each person in this process and see the hand of God just in them being there! PS Are you going through a time of standing or just being right now? Who has God brought to your side during this?